Make no mistake, we are at war. Emboldened by their victory in last year’s NC Supreme Court and legislative races, the democrat party is once again making plans to reestablish its political dominion over North Carolina in the fall of 2020. Liberal and progressive operatives are already at work undermining the North Carolina General Assembly, challenging nearly every Republican initiative in the state and federal court systems. The democrats have hired agitators who roam from venue to venue seeking to disrupt conservative groups and political events, knowing the traditional media outlets will provide ample coverage of their negative messaging. This is no time for the NCGOP to be divided internally or to be dormant as the party controlling the legislature and most local jurisdictions. To the contrary, this is the time for action! Two special Congressional elections and important municipal elections are coming later this year, and filing for the 2020 election cycle will be upon us in December. This is the time to bring new voters into the party- citizens from minority populations and younger voters, now coming of age. We need to be recruiting strong conservative candidates to run for local and state-level offices. We need to be organizing new county, judicial, and congressional district jurisdictions for future success. We should be actively engaging in voter outreach, especially in the minority populations. By using the right tools and automation, our volunteers can make major strides toward winning all major races in 2020 and beyond. 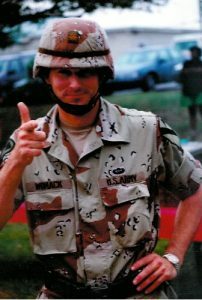 As a former field grade Cavalry officer in the U.S. Army, I know how to organize for combat and how to lead troops from the front. As the next NCGOP leader, I will quickly organize and equip our great District, County, and Precinct talent for battle with our democrat opposition. We will campaign on all fronts– in the media, in government circles, and especially in the trenches –where we will encounter the most ardent socialists and anarchists. We will prevail! This is the time to build up our recent grass roots efforts to re-establish a conservative super-majority in the NC General Assembly. We must sustain NCGA conservative dominance, and begin executing now to win back the Governor’s mansion in 2020, along with all the council of state positions. We must begin the deliberate planning now to win important races in the Appeals and Supreme Courts in 2020, and to win back the NC Supreme Court at our first opportunity in 2022. 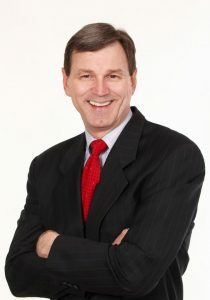 Learn more about Jim Womack here. Addressing the Lee County NC Republican Party, State Representative John Sauls tells a tale on Jim Womack. During the 2016 General Election, there were several pivotal statewide elections that merited special support and vigilance on the part of the NCGOP leadership. Three pivotal races we lost were the governor, attorney general, and supreme court associate justice races. This article pertains to the supreme court race. Any time an organization like the NCGOP suffers a humiliating defeat, it is incumbent on the party to perform an after action review to determine just what went wrong and how to prevent a recurrence in future elections. Following the 2014 debacle – in which we lost all three associate justice races – the governing body of the NCGOP performed no such analysis. This analytical oversight led to a repeat loss in the 2016 associate justice race (Bob Edmunds). That mistake alone should have been grounds for electing a new leader for the party. It put conservative, Republican Party jurists in the minority on our high court. Incredulous as it may seem, our current Chairman blamed the general assembly for the loss and grossly underestimated our vulnerability to losing Justice Barbara Jackson’s seat in 2018. In a recorded debate in 2017, Chairman Hayes blandly dismissed the Jackson race as a simple task of labeling her with an “R” on the ballot. Well, Chairman Hayes was proven wrong, yet again- worsening our posture on the high court. Now, with Chief Justice Martin’s sudden departure, we are at a 6-1 disadvantage on the court, and that one associate justice (Paul Newby) is in a fight to keep at least one Republican our the State Supreme Court. This is a travesty! We simply MUST put together an action plan to reverse the strategic mistakes our leaders have made the past three election cycles. But first, we need to elect a new, energetic NCGOP Chairman who can execute such a plan and never allow such a tragedy to be repeated. Next, we must recognize the need to mobilize conservative voters for the 2020 election- perhaps the most pivotal general election in the nation’s history. I will arm the districts, counties, and precincts with the media and tools to educate and inform voters about all council of state and judicial candidates so we have a fighting chance to win every race. As Chairman, I will personally consult with our judicial candidates to synchronize our collective work on their campaigns. I will make sure their signs and campaign materials are widely circulated early in the campaign (a major improvement over what happened with the Edmunds and Jackson races). I will conduct targeted issues polling to ensure we are shaping voter opinions about the judicial races in bellwether jurisdictions. Finally, I will share the tips and best practices we’ve observed all across the state so counties and precincts can achieve the results we know we need to win victory. Then, immediately following the election, we will perform a deliberate post-mortem analysis of the election’s lessons learned and adjust our planning for the 2022 NC Supreme Court races. Under my leadership, we will win the 2020 and 2022 races, setting our sights on taking back control of the High Court in 2022. We will prevail! Background: The North Carolina General Assembly voted in 2015 to authorize the NC House and Senate political conferences to move their funds out from under the management of the NCGOP. The state senate moved its funds in 2016, during the tenure of Chairman Hasan Harnett. On May 23, 2017, the NC House of Representatives GOP Caucus also voted to move its funds from management by the NCGOP to an independent account, not under management of or reporting by the NCGOP Chairman Robin Hayes. At some point in 2017-2018, the accounts were re-established under the management supervision and reporting of the NCGOP. The Rationale: Barring a statement from the Speaker of the House, President Pro Tem of the Senate, or testimony from GOP Caucus insiders, the rationale for past movement of caucus money in and out of NCGOP management and control is elusive. Speculation is that “trust,” or lack thereof, was the primary factor. More recently, legislative leaders have articulate concerns that the failure of the NCGOP to raise funds for its internal operations put the caucus money at risk. Recent reports from key legislators indicate the NCGOP Chairman and Executive Director are putting pressure on GOP Caucus leaders to transfer or loan money to the NCGOP to continue current operations. If this reporting is accurate, we should be ashamed. Conclusion: It is the prerogative of the General Assembly caucus’ to manage their money in manner that best suits their needs. Jim Womack respects the legislative authority of the NCGA to co-mingle funds with the respective parties or to manage them independently. North Carolina has perhaps the finest legislature in the country. That same General Assembly is chiefly responsible for enabling the amazing turnaround of this state’s economic fortunes since 2009. Moving GOP caucus money to an independent account is a trivial matter in comparison to the superb legislative record of this body. I fully support the decisions of our GOP caucus leaders to manage their funds in whatever manner they may choose. As the future NCGOP Chairman, I pledge never to put pressure on the House and Senate GOP leadership to manage their funds under NCGOP supervision or to transfer those funds for internal NCGOP use. The State Plan of Organization fails to address technology and its use in conducting the business of the NCGOP. This is a serious deficiency that I will remediate immediately upon assuming the role as Party Chairman. Proper application of technology is vital to our future survival as a party. There is no substitute for going door-to-door, shaking hands and campaigning for Republicans; but there are numerous means of complementing those efforts to reach the ‘connected’ voters in a more efficient and productive manner. 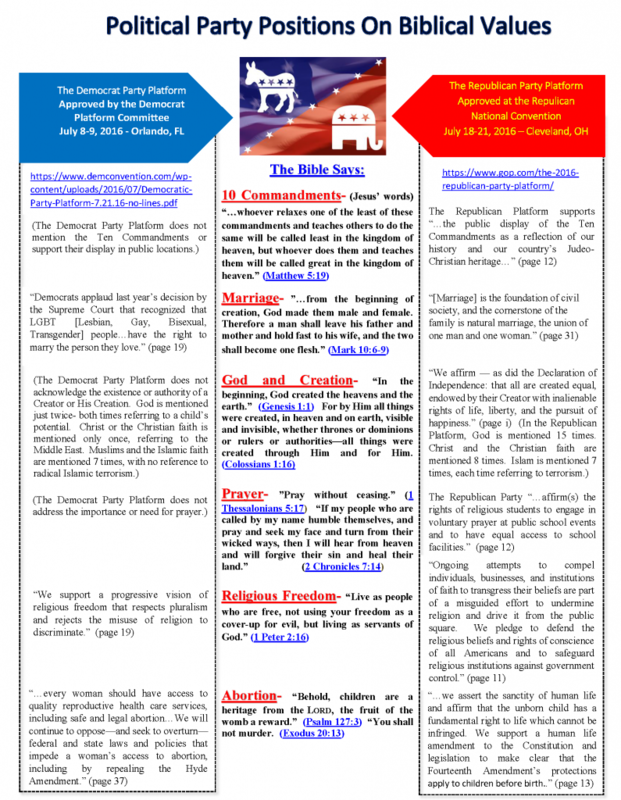 First and foremost, we need to maintain static and dynamic content on our NCGOP website much more effectively. It has been poorly maintained for years. I will assign responsibility for its future maintenance and personally check it daily to ensure it meets standards in educating and informing party operatives and the general public on our events, our message and our brand. It is an NCGOP state-level responsibility to receive the statewide voter registration database and merge that data in with other authoritative commercial sources that can help us know all about the state’s prospective voter base. With proper management of that data, using appropriate application software, we will enable our county and precinct leaders to prepare useful walk and call plans that optimize their outreach in voter registration drives and get-out-the-vote (GOTV) efforts. This one improvement, alone, would have changed the outcome in the Governor’s race in 2016 and the Supreme Court races in both 2016 and 2018. It is also an NCGOP party responsibility to share best practices in the use of digital methods across the state. Very little has been done to share best practices in use of social media, mass communications, and emerging new media for messaging and voter outreach. Inside the NCGOP we have several cutting edge practitioners of 21st Century application, data and communications technologies who are eager and willing to share their expertise to help the NCGOP grow and prosper. Within 60 days after being elected, I will form a task force that brings this expertise together to develop a strategic technology plan we will execute to win, and win convincingly in the 2020 election cycle. History teaches us the North Carolina Republican Party is most effective when its leadership consists of servant leaders- those county, district, and state chairpersons who lead by example, who lead from the front, and who sacrifice their time and treasures to promote conservative values and candidates. We owe it to our two million members to elect servant leaders who will set aggressive goals and objectives for precinct organization, party growth, and voter turnout. Our servant leaders should personally ensure that precincts and counties are armed with the tools and technologies to achieve those goals and objectives. This means our leaders must travel around to our counties, attend meetings, and actively participate in local party activities. Our state and district leaders should be accountable for ensuring precincts and counties are properly educated, trained and equipped to achieve our goals and objectives in accordance with our Plan of Organization. We should be staffing our state Executive and Central Committees with servant leaders who faithfully attend called meetings and who actively offer and share ideas for improving the productivity of the party. These leaders must be tireless in processing bottom-up requests for resolutions, platform changes, and Plan of Organization modifications. They should be transparent in their deliberations and responsible back to the counties and precincts, who are the lifeblood of our state organization. Our servant leaders must also be fiscally responsible to party members. They ensure we raise sufficient funds to sustain essential party activities and that cash flows are managed to maintain continuity of operations. Good servant leaders do not prostrate rank and file members of our party with unnecessary financial burdens: that kind of financial malfeasance discourages party activism, erodes the base, and causes disaffection with the party in general. Effective servant leaders find creative ways to brand and sell the party. They balance the sourcing of revenues among prospective contributors who derive value from conservative governance. Finally, servant leaders put the party’s needs ahead of their own. Servant leaders are not afraid to stand on principle and they are unabashed in their defense of traditional American values. They believe in the North Carolina Republican Party and strive to make it the best such organization in the country. They work tirelessly to build the image of conservatism – from top to bottom – and reject attempts to co-opt the NCGOP for ulterior motives. Aren’t you ready for servant leaders to guide and direct the NCGOP Executive Team over the next few years? Corporate executives extol the virtues of strategic planning within their organizations. The by-product of a deliberate planning process, strategic plans synthesize diverse planning guidance, threat, operational, and administrative data into a coherent document to guide the organization towards achievement of long-range goals and objectives. Most major corporations have well developed processes for planning. They produce sophisticated, comprehensive strategic plans to ensure their organizations fulfill their organizational purpose and compete effectively in highly competitive markets. If the NCGOP has a strategic plan, it is a well-kept secret. There is little evidence the leadership team of the NCGOP does short-term planning, much less long-range strategic planning. Frankly, there’s little evidence of any planning above the County level. That is, in part, understandable given the ever-changing geography of the Congressional District organizations; but there is no excuse for the absence of a state-level strategic plan. Worse yet, there’s no evidence the NCGOP has long-range goals and objectives of any type, much less a plan to achieve them. 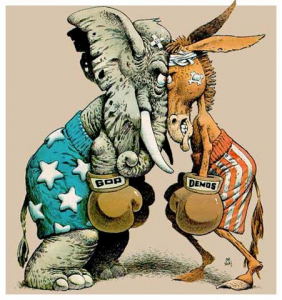 For us to beat our democrat adversaries in future elections, the NCGOP must produce a strategic plan addressing the 2020 and 2022 election cycles. This plan should clearly establish the growth and coordination needed for our party to sustain its supermajority in the NC General Assembly, while resourcing efforts to increase our Council of State dominance and to retake the Governor’s mansion in 2020. We also need to be planning and recruiting to increase conservative seats on the NC Supreme Court in 2020 and to win back conservative control of the High Court in 2022. All fundraising and staffing efforts should be applied to the priorities that derive from the strategic plan. Now, the NCGOP can learn from the tragic mistakes made in planning and resourcing the 2016 and 2018 election cycles; or we can sit back and watch history repeat itself in coming elections. I don’t know any active Republican who genuinely thinks our results were acceptable. Losing the Governor’s race in 2016 by just a few thousand votes was shameful. Losing the Supreme Court in 2016, then exacerbating those losses in 2018 is near cataclysmic. We simply cannot afford any future blunders like these. With competent leaders and smart strategic planning, the NCGOP can and will do better, beginning with a change in leadership in June 2019.